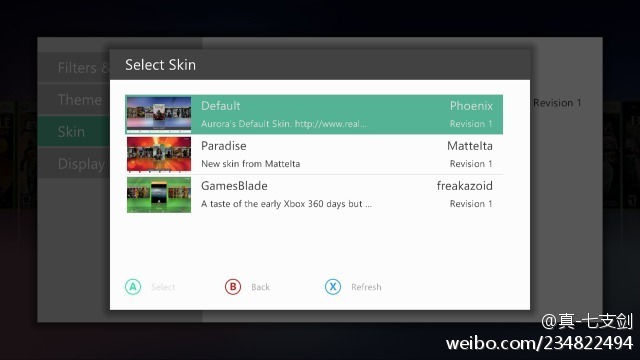 One of the biggest changes this release, is the addition of a Profile / Disc panel on the main screen. 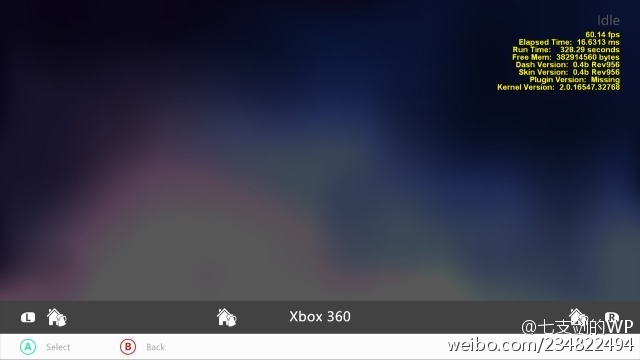 It shows the currently inserted disc and has options to launch/play it or show details (Xbox 360 / Classic discs only). 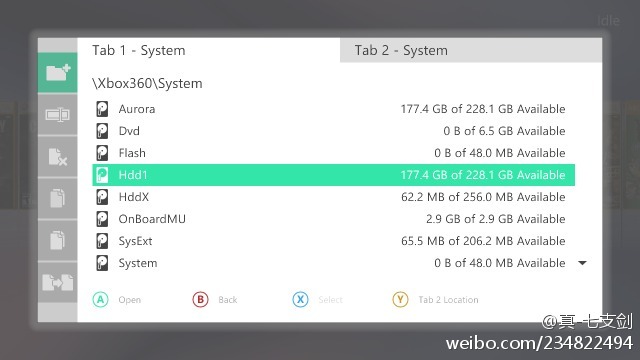 It will also attempt to retrieve movie or audio disc information when connected to internet. When no disc is inserted, profile information is shown. The panel can be hidden, or configured to show your avatar instead of profile image. The disc indicator will allow you to see what disc is currently selected, without having to look at the game details. The default sort by title name also includes disc number now, in addition to location (local before network). 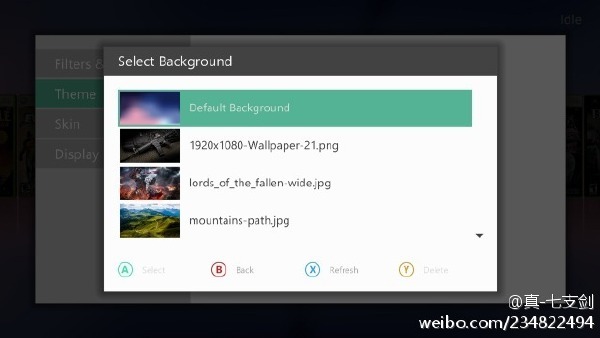 The background animation can be customized to your liking through the customization menu. You can now choose to show a profile selector at boot, or have Aurora sign-in to your favorite profile automatically. This allows you to have custom look and feel for different users, without having to switch through the HUD afterwards. We have added the possibility to save some DashLaunch settings and the Screencapture button configuration per game. This allows you, for example, to turn of the screen capture button combo when using a trainer for 1 specific game. 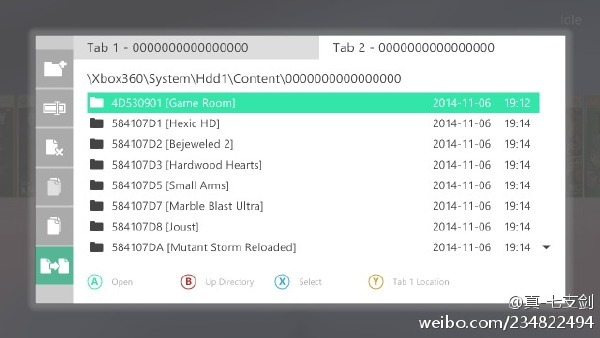 In addition to viewing your save games, this release allows you to manage them as well. You can move or copy them to another device or link them to your profile. We had some space left on the System Menu, so we've included a Temperature Graph for you to stare at for hours on end. You can now set a profile specific passcode and special permissions for different types of actions in Aurora. 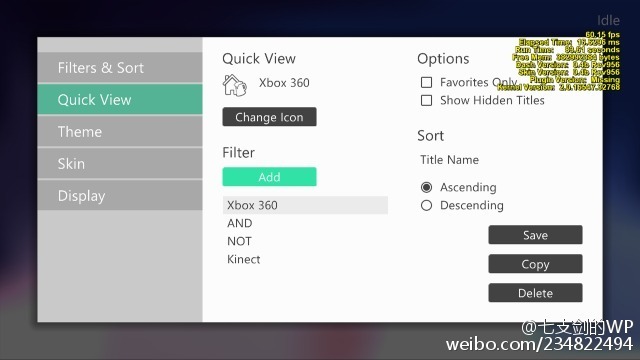 A new menu entry in the Game Details allows you to select a specific Cover from XboxUnity. Many of you probably know that while you are in the game details for a specific game, you can press the 'BACK' button to view the background with no UI blocking your view; however, we have now added the ability to set that artwork as your dash background. Assets (Covers, Backgrounds, Descriptions, etc) can now be imported from the import folder on the Xbox360 harddriveWe have added a method to import assets from an import folder on your Xbox360 harddrive, allowing you to update, replace or add images and text to your games library and fill out your game details without relying on an internet connection. Another menu entry in the Game Details allows you to view your Freestyle Plugin screen captures from within Aurora. 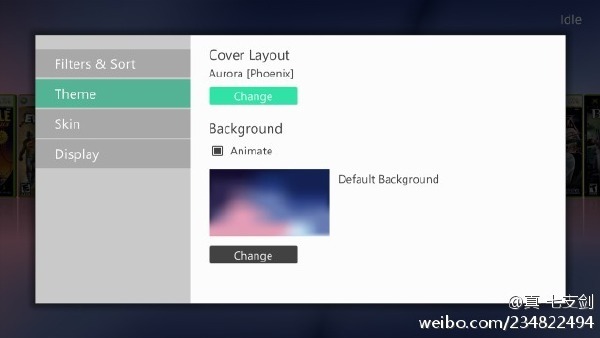 From this menu you can even set your screen capture as your default Aurora background. Plugin settings are now in one menu entry in the Settings Menu. The settings are also rearranged to make it more user friendly. The biggest feature added to 0.6b is the possibility to create "Utility Scripts". Utility scripts are self-contained LUA applications that can be launched from within Aurora. 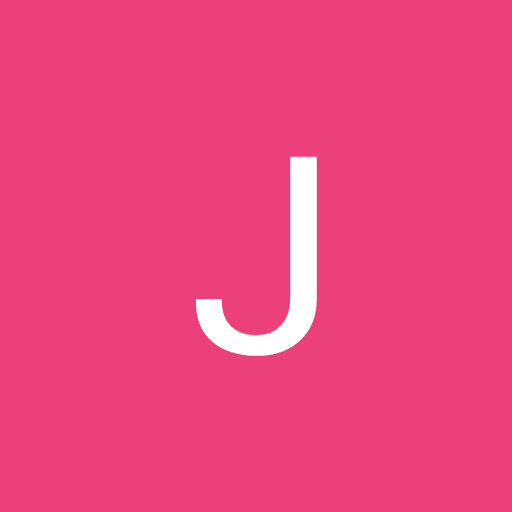 A repo browser is included that lets you download some scripts from GitHub, including a Disc to GOD script and a Weather script. 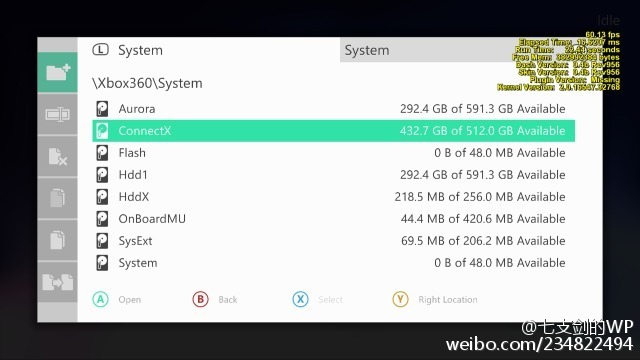 ConnectX - Connect X will be back in- so you can continue to view and run your libraries from your network drives, just like you did in Freestyle3. Content Search- In the Browse Menu (X), we've added the ability to search for games in your library. When you enter the browse menu, you'll be able to press (Y) and popup a keyboard that will prompt you to enter search terms or search patterns. Upon confirm your search, the game list will filter itself. Quick View - This is a big addition that we are finally finalizing in Aurora and feel it is going to bridge the gap between the power of filters and the outcry for folders. Let me explain how they work. 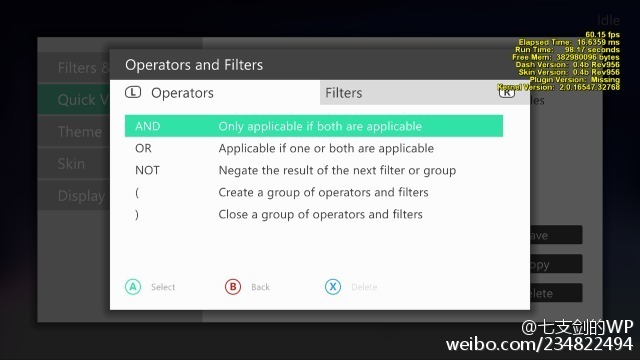 A quick view is a combination of filters using operators such as AND, OR, NOT and ( ). They are fully configurable and user definable, complete with their own icon, name. In addition to filters, they are also tied to sort type, sort order, and of course favorites / show hidden games. 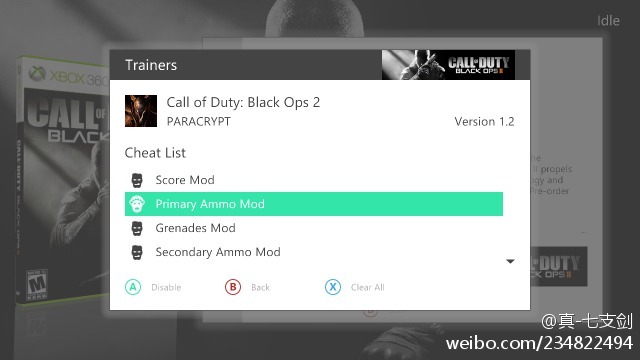 For example, one of the preset Quick View's we'll be including is the 'Xbox 360' quick view. As you know- when you select the Xbox 360 folder, you'll also get Kinect games in that list. 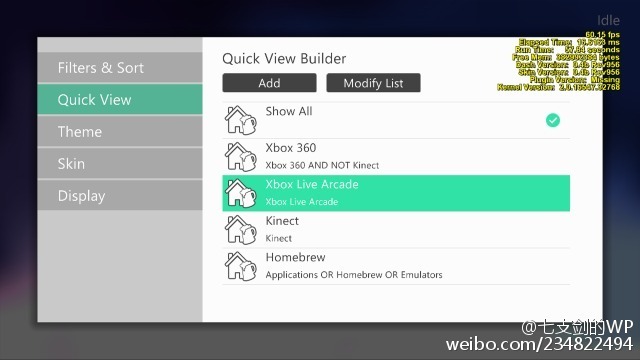 The 'Xbox 360' quick view creates a custom combination of filters equivalent to 'Xbox 360 AND NOT Kinect' where Xbox 360 and Kinect are normal filters. Once you have configured and defined all of the quick views you want to have. When you press LB and RB on your controller, while on the main menu- you will be able to bring up the Quick View Selector where you can quickly swap between your different views. We feel this is an extremely powerful feature with endless options- 100% user configurable and definable and will make accessing your library unique to you. Theme Settings - In the view menu, we've added a new section for theme settings. Here you can change your cover layout, you can select and preview backgrounds, and you can turn on or off the background animation setting. To add new backgrounds to your theme menu, you simply save them into your Aurora:\Backgrounds\ folder. Currently, we support BMP, PNG, DDS, JPG, DIB, HDR, PFM, and PPM image formats. For optimal use, please use an image that has a resolution of 1280x720. Smaller and larger images are supported; however, they are scaled and may compromise load times. Skin Settings - Also in the view menu, we've added a section for skin settings. 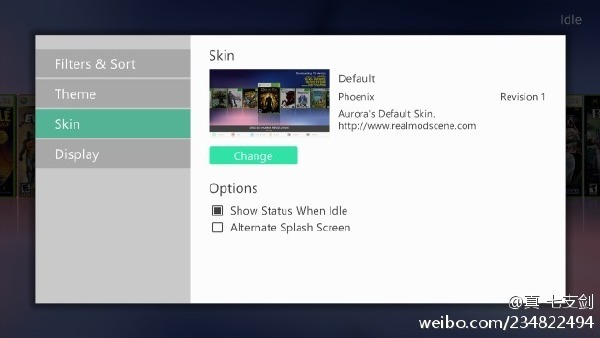 You will have the ability to select new user created skins, you will have the ability to turn on/off the "Idle" status text and you will have the ability to select an alternate splash screen. The alternate splash screen is a skin dependent feature. In Aurora, the alternate splash screen is a darker version of the default. Other skins may offer different alternates. 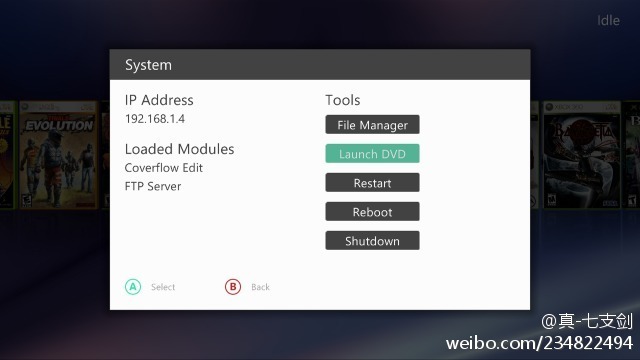 Launch DVD - In the system dialog (pressing Back on main menu) we have added a Launch DVD button. This button will allow you to launch whatever game (or movie) is in your DVD drive. This will not download artwork or allow you to manage title updates. That type of functionality will come in the future. Title Update Scanning - Based on community feedback, we've opted to change up the TU scanning process. In Aurora 0.3b, we attempted to solve a serious issue that came up when scanning Title Updates. For those of you who don't know, prior to Aurora 0.3b, the title update scan and backup happened in the background. If a game was launched or the console was turned off while a title update was being copied, then the copy would be corrupt and the title update would not work. This became a bigger problem as Title Updates became much larger (Alien Isolation anyone?) as the copy would take even longer, increasing the chance of an interrupted backup. To solve this problem in Aurora 0.3b, we forced the title update scan to occur during the splash screen. However, the draw back that comes with that is the longer boot times, which many people didn't like. The solution we implemented in Aurora 0.4b is to scan Title Updates the first time you boot Aurora 0.4b, and then allow the user to decide when the next scan happens. Provided you only use the built in Title Update Manager from within Aurora, then you won't have to scan for title updates again. However, if you manually copy them to your drive, or download them from another dash (like FSD), then you will need to scan again. 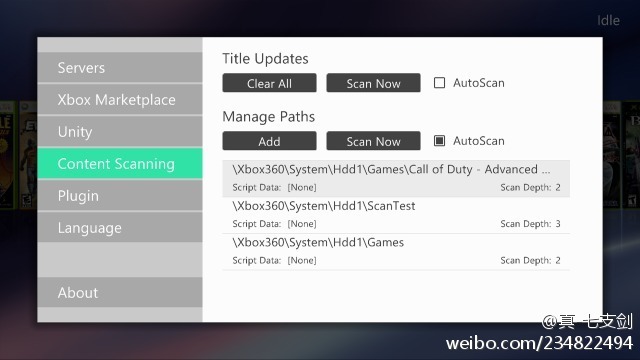 We have implemented a Scan Now button in settings to allow you to rescan for new title updates in that case. For those of you who were okay with the AutoScan happening at boot, we've added a setting to allow that to happen every time. Lastly, we added a Clear All button which essentially will scan through all of your /Cache/ and /Content/ folders and remove any title updates it finds. Aurora will now turn on XHTTP in dash launch while Aurora is running. When aurora exits, it will revert it to whatever setting you had it at previously. The following is a list of translations available in this release. If you have a language that is not already completed that you would like to translate for us, please contact Swizzy. As usual we have a quite a few more features we are planning to implement as we continue to push Aurora forward. We are continuously checking the forums for all your requests and ideas, so keep them coming! - They can be saved in the game folder (next to the default.xex or CON file) in a folder called "Trainers"
- They can be saved in the aurora folder in a folder called "Trainers/titleid". For example "Aurora/Trainers/41508C3/trainer.xex"
Check out the compatible trainers at XYZMods. Single File Language Packs - It is now possible to change languages without setting the consoles language in MS Dash. 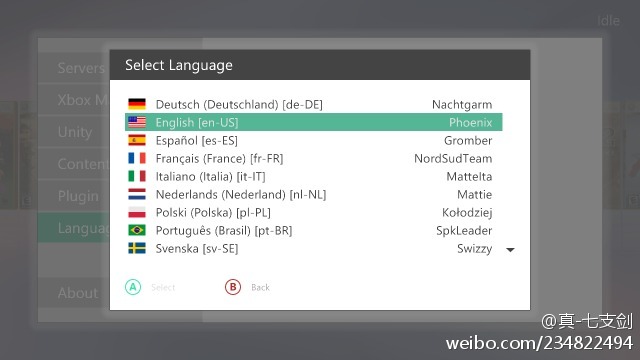 Additionally you can now add translations that are not supported by MS Dash as well. 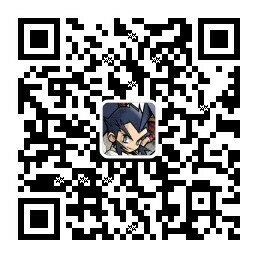 For additional languages and support, please post here. We have a few more features on our planning to make Aurora even more complete and as always we keep checking the forums for all your requests and ideas, so keep them coming! I have released this Trainer pack so you can update all trainers that have been released so far for Aurora. As you know you had to make sure you were signed in to your profile before you could use a trainer or it would crash your console this bug has now been fixed. there was a bug on freeboot that would not let trainer unload so you had to reboot after running a trainer this problem has also now been fixed and you can now start another trainer without rebooting. trainer start up has been speed up a little. 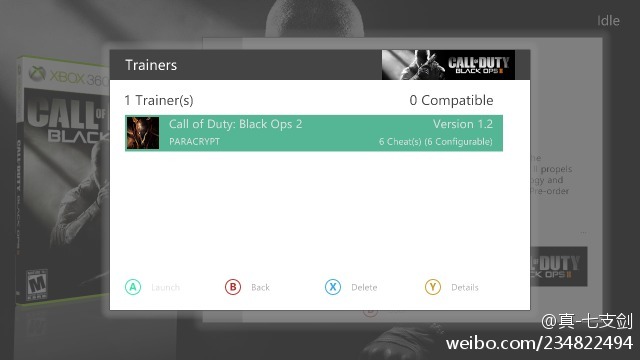 To update is simple just unrar the pack to desktop then copy all the folders inside the Aurora Trainer Update Pack folder to Aurora Trainers folder on your xbox hdd and click yes to any options that may appear on your pc this will merge and replace all the trainers you have already installed.